Home / investing / saving / wealth101 / What is rich? Last month I was interviewed for a personal finance podcast. The interviewer asked me a question that really got me thinking about what is my long term goal. He asked me "what is financial freedom to you". 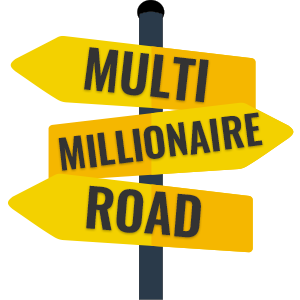 My site, is called multimillionaireroad as I started the blog to chronicle my thoughts and feelings on my path to riches. However, I realise that the blog name can be a little misleading. It wasn't that I wanted to become a multi millionaire per se, I wanted to live a very comfortable life with my family. The name of the site was meant to be aspirational, desirable (if a little long to write out!). Now most people will respond saying "loads of money!". However, I think that you need to explain what you mean by this. What do you mean by "loads"? Surely, enough money to be considered rich within your social circle. Some people will take "rich" to mean that they have enough. Others will have a specific amount of money in mind. There will also be a third group who think of the term "rich" to mean unlimited wealth - think billions! My definition of "rich" isn't any of those listed previously. For me the definition of rich is intrinsically linked to financial freedom. This means that I consider myself "rich" to be the point at which my monthly outgoings are covered by passive income. Passive income is income that is earned without requiring further additional time (following some time and effort upfront). Passive income will include income from sources such as interest, dividends, rent, and business income. I plan on retiring in modest luxury so this passive income needs to be large enough to cover my dream of being able to travel, living several months abroad each year. You need to consider what your monthly outgoings will be and what you would need to cover these. I think my passive income will need to be roughly £4,000 after tax each month in real terms (ie ignoring inflation) - this should be more than sufficient for food, bills, entertainment, holidays, shopping etc. How do I reach financial freedom and become rich? Reaching financial freedom is simple on paper but difficult in practice. The way to reach financial freedom is to build assets. You need to earn an income, push to grow it, save a large proportion of that income, invest savings into a range of assets such as property, Companies, businesses and bonds, and then reinvest the interest earned from your investments. You're probably thinking: seems simple but sounds like it would take a long time and a lot of effort and sacrifice. You're right! It is simple but hard. But don't fret. The only reason why you're not on the road to your fortunes is that you don't yet have the discipline for it. To really succeed you need to have the goal of financial freedom or becoming rich in mind and aim for it the whole time. Every purchase, every time you earn, every time you think about saving and investing, you need to be considering what you can put away into assets. Why?! Because assets create cash flow and with cashflow you create a non-reliance on work for income. Then you are rich. Do you like what you've read? Come and check out www.multimillionaireroad.com. Tell your friends by sharing it with one of the buttons below. Please post this to Facebook or Tweet it to help your friends and family. Feel free to send me an email (mrmoneybanks@multimillionaireroad.com), find me on twitter @millionairer0ad or comment. Whether good or bad, I want to hear from you all.